Located in the historic Casa Munras Garden Hotel & Spa, Estéban Restaurant is the heart of authentic Monterey dining, offering a unique culinary experience. 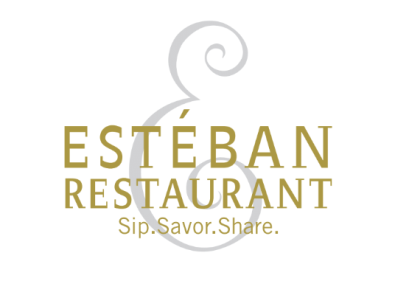 Serving traditional Spanish-inspired cuisine with a pinch of adventure, Estéban features Mediterranean tapas and classic selections to Sip, Savor, and Share by the warmth of the fireplace or in the relaxing outdoor patio. Chef Thomas Snyder’s passion for fresh, local ingredients and innovative dishes leads to delicious seasonal offers at this popular local restaurant. Enjoy seasonally changing options, inspired by the freshest seafood, meats and regionally grown fruits, herbs and vegetables available. Plan an intimate event or special occasion in the exclusive private dining room comfortably accommodating groups up to 30 for a memorable celebration, intimate wedding rehearsal dinner or lively brunch or shower.